Paradise Nails: www.paradisenails.us. Headquartered in Woonsocket, R.I., Paradise nails offers Puerto Rican nail style classes both in the U.S. and in Puerto Rico. Its website also sells nail art DVDs and other products to help you create the nail looks at home, no matter where you’re located. 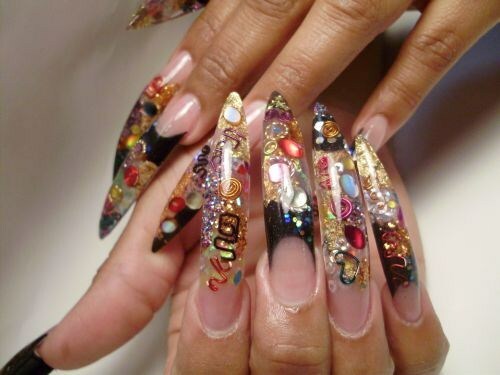 You can also contact Paradise Nails at [email protected] or (401) 769-0980. World Training Academy: www.worldtrainingacademy.com Headquartered in Bayamon, Puerto Rico, World Training Academy offers nail art seminars in both English and Spanish. The Academy is also a beauty school, offering longer courses in subjects like esthetics and massage. You can also contact the Academy at (787) 740-7372.